Corona Contracts are specialists in the manufacture and installation of black stage curtain designs for events and venues. We manufacture our products to the exact specification of our customers, making us the best choice in the U.K. if you have a particular vision for the function and aesthetics of your events space. Cinemas, theatres, live music venues, school halls and other performance spaces rely on stage curtains as a vital part of their daily operation. Black event drapes in particular don’t just create a smart and professional visual, they also minimise sound reflections and create separation between the different sections of large event spaces. If you invest in a quality black stage curtain from Corona, it should last you for decades of commercial use without any problems. Corona Contracts have the knowledge, equipment and extensive experience working with people in various industries to meet this challenge. Installing black event curtains will have a big impact on the way sound travels in your venue. The acoustics will improve significantly, as our heavy duty black curtains help to decrease reverberation levels, improving the clarity of sounds, particularly in large public venues. If you are putting on a play you want the audience to be able to understand what’s going on without the actors having to strain and shout to deliver their lines over ambient noise, your choice of stage curtains will have a big impact. You could even use black draping as a room divider and reduce the sound transmission between the different parts of a venue. If you let us know how you plan to deploy your stage curtains we can help you decide what type of materials to use. Heavy pleating, for example, can increase the level of sound dampening, if that’s a priority to you. At Corona Contracts, we take control of each stage of the manufacturing process from our factory in Preston, allowing us to work with you to understand the technical requirements of your space and then adapt our fabrication process to create the best performing product. For any stage director or architect looking to give their event space or venue that wow factor, our team can help develop designs from the beginning right through to fitment with advice, consultations and fittings carried out at a time to suit you. We even have technical specification documents readily available for precision design and scaling. With so many of our recommendations coming from word of mouth, we have had no need to spend money on advertising, which means we can keep costs down for you. We will provide you with honest and professional advice, fantastic quality products made to your exact specifications and a guarantee that your black stage curtains will have the longevity you expect from such a product. If you do have any problems we offer an exceptional aftercare service. The only optional upgrades we source from another company are our motorised curtain track systems. The Italian manufacturer Mottura is second to none in this area, they are renowned as one of the leading industry specialists. Established in the early sixties, they have four European branches and are present in more than 70 countries around the world. Mottura tracking systems are controlled using the M2net system. This system helps to make our stage curtains as ergonomic as possible, using technology that will be at the cutting edge for many years to come. We know that you might want to maintain a certain atmosphere when putting on an event or stage production, so the Mottura tracking systems we install are quiet and discreet, meaning they won’t take away from the performance everyone came to see. 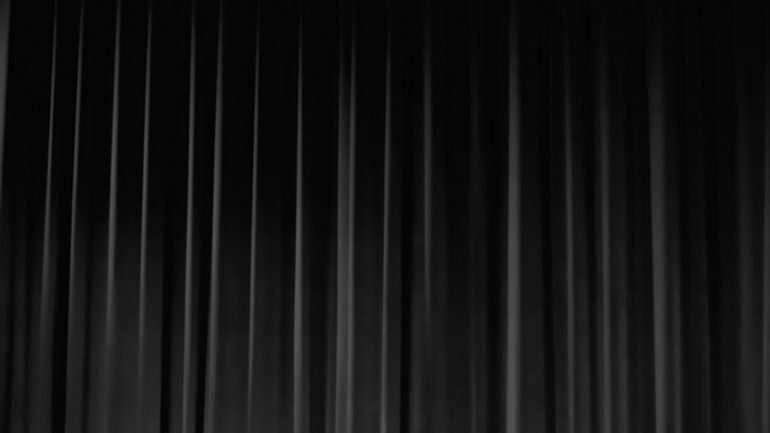 The system can be controlled remotely or manually, so in the event of a power failure your black stage curtain won’t be suddenly rendered useless. We have a huge range of fabrics available to suit your requirements and our experienced installation team will fit your new stage curtains while following all of the relevant safety legislations. Installation is always handled with minimum disruption to the day to day running of the venue in which they are being installed. All of our stage curtains conform to industry safety standards appropriate for their installation including flame resistance and anti-ligature design. If you have any further questions about our services please don’t hesitate to contact us today.